Amazon’s search algorithm prioritizing product title above all else when ranking products in a search result is a well-known fact. The role in which product title plays is absolutely crucial for conversion rate as consumers’ buying decisions are frequently influenced by the quality and relevance of a product title displayed on the Search Engine Results Page (SERP). 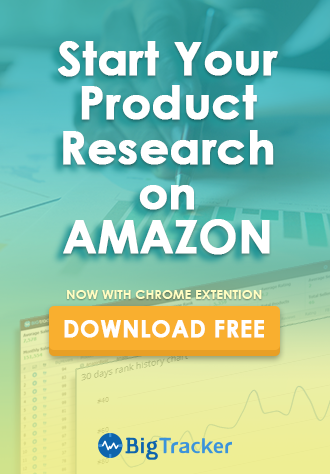 Hence understanding how to optimize product titles has paramount importance for those who wish to improve product search ranking as well as conversion rate on Amazon. In Sum, Having a great product title can improve your amazon SEO ranking. Sellers should try and follow the structure below for the general flow of product titles. Amazon also provides their own formulas on how to format product titles for listings in different categories. It is also essential that all titles have correct capitalization and spelling. The above listing is an example of a perfect product title. 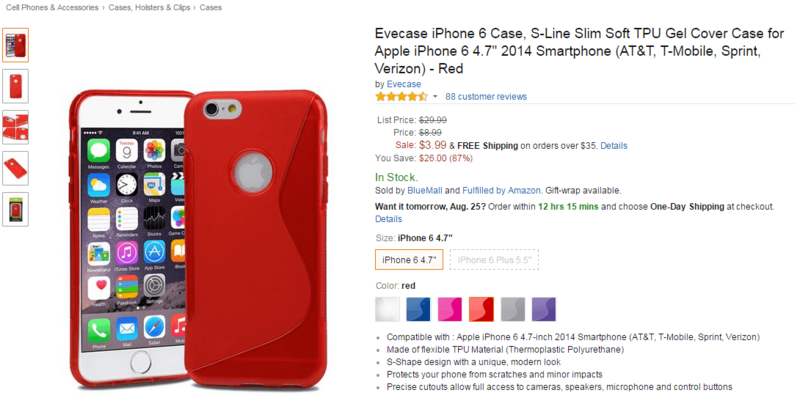 It contains the specific style and model this phone case is for, iPhone 6 4.7”. This is important as you wouldn’t want customers to buy the item to only find out afterwards that they need a case for iPhone 6 Plus. The seller even decided to include some cell phone service providers in case buyers decide to include their carrier in the search terms. As you can see, there are many colour variation for the product. As each colour variation is listed as different ASINs, it’s important that your product titles also include the variation (size, colour, quantity). You can see that this seller has done so by putting “red” in the title separated by a dash. This listing is also a good example of a well written title because it is less than 200 characters in title length, 139 characters to be exact. Amazon has recently put out a limitation on title length to 200 characters for listings created after July 15, 2015. Listings with a title length more than 200 characters will be suppressed from search and browse. 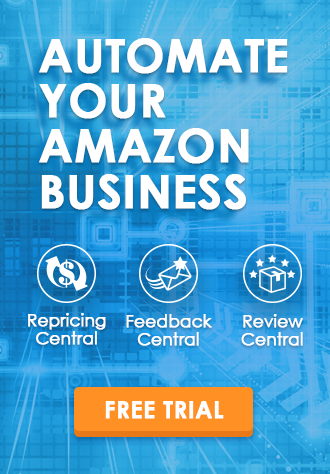 This means that buyers will not be able to find your listing on the listings page when they are shopping on Amazon. Amazon also takes into consideration “basic” stemming. Stemming means taking root words and adding various endings to it. Amazon will be able to recognize basic word stems. So you do not need to waste character space by putting “case” and “cases” in your title. “Case” will be treated as the same search as “cases”. However, one thing to note are compound words. Compound words are words that are put together by two separate words that have meanings on their own. If your title for example includes the word “makeup”, make sure that you have listed it as is and not “make up” as Amazon will consider these as two separate terms. Other examples of such words are “pillow case” and “pillowcase”, “notebook” and “note book”. One size does not fit all: Titles that work fine in a particular setting may not be optimal when they have to compete against all the other products on the SERP. Choose wisely: Sellers should not overload a title with keywords. However, it’s very important to include the priority terms for which you want your products to appear. Think outside the box: Building up a product title with general keywords that are frequent search terms is a good way to let buyers discover your products through search. Tweaking the title by adding some interesting keywords could also make your products look more enticing and stand out among the crowd. 1. Do not place false information in a title to boost the chance of a product to be found through organic search. You do not want to risk your seller feedback for short-term sales. 2. Do not place brand names that belongs to other parties in a title. 3. Do not stuff too many irrelevant information into a title making it overly verbose, or exceed 200 characters limit. Ideally, keep the title character count under a hundred. 4. Do not provide seller information such as personal name, email and phone number in a title. 5. Do not capitalize every letter in a title, only the first letter of a word needs to be in uppercase (excluding and, or, the, with, a etc.). 6. Do not include item and shipping price in a title. Hello Aileen, thank you for your kind words. Please feel free to contact us if there’s anything you would like us to write about.